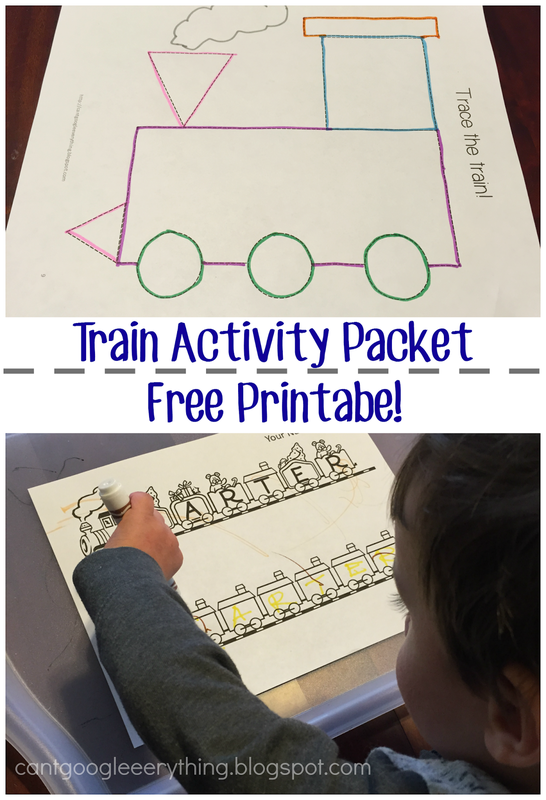 Carter has been loving trains this month, so I wanted to make him an activity packet focused on trains! I created pages for counting, ABCs, writing his name, colors and shapes. He has been obsessed with watching Chuggington on Netflix recently (he requests it every night after dinner!) 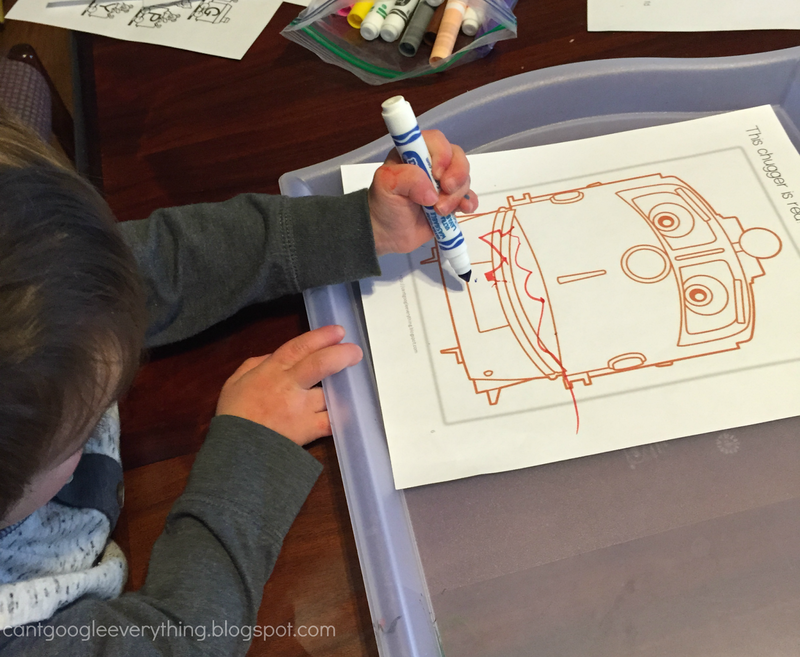 so I thought it would be perfect to make the coloring pages in the packet a Chuggington theme! The counting pages also have pictures of the beloved “Chuggers” to count. We worked together to write his name on the “name train” and count the Chuggers on the counting page. 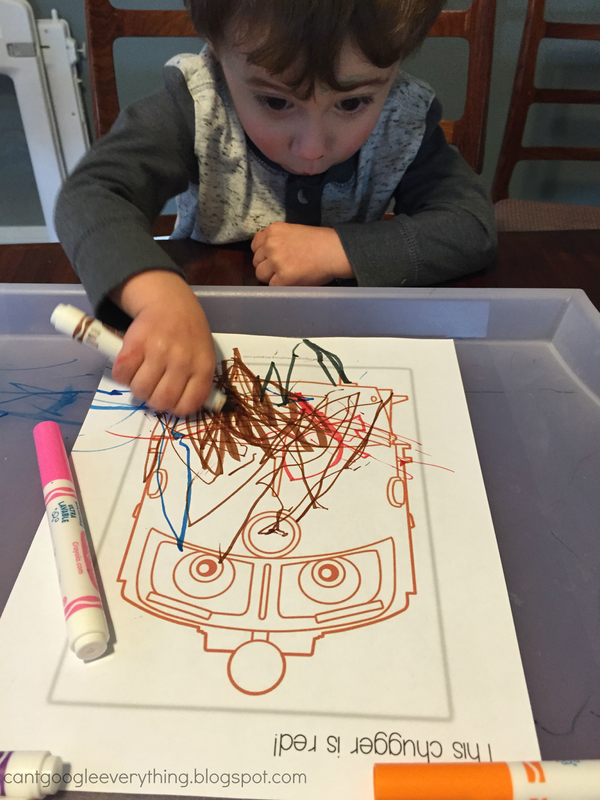 Then I gave him the markers to pick from and let him go nuts coloring! Carter wanted me to take his picture while he was coloring! He wanted to use every color and was just having the best time! I created these packets to go along with Carter’s love of watching Chuggington, which we have been streaming from Netflix all month. You can watch a show about trains before introducing the packet (or after!) to build excitement for doing the activities. Here are some shows and episodes about trains on Netflix! Here are some of the pages from my train activity packet. Click the link below to download the free packet printable! Super fun!! I know some kidos that would love some train coloring sheets. Thanks for sharing!! How cute! Will definitely need to download these! My kids loved trains when they were little and I know a lot of kids that would love these. Pinning them!